Each Christmas season I like to come up with a simple gift idea that I can use for my kids teachers, a few of my friends and close neighbors. Today I am going to share with you my Easy Christmas Gift Idea that I am going to be giving this year! 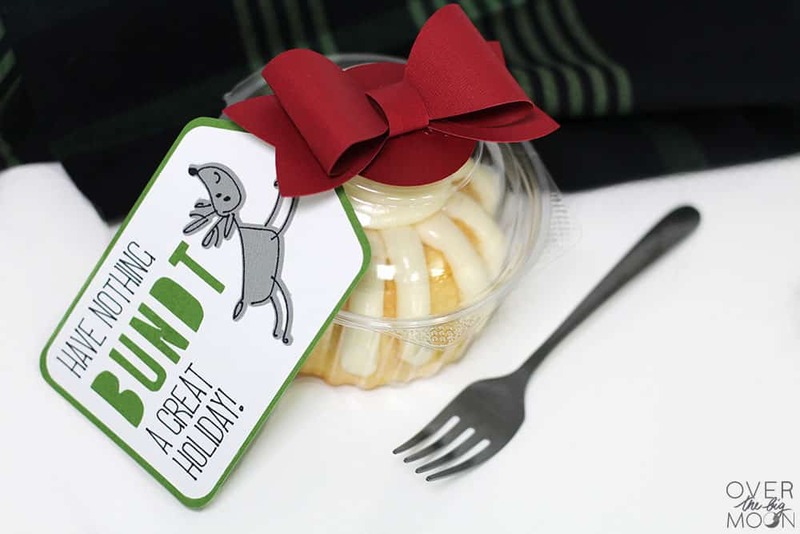 A few months ago, I was driving by a little cake shop near me and had this simple idea pop in my head – BUNDT cakes! And that is what I’m rolling with this year! I personally love the little mini bundt cakes! 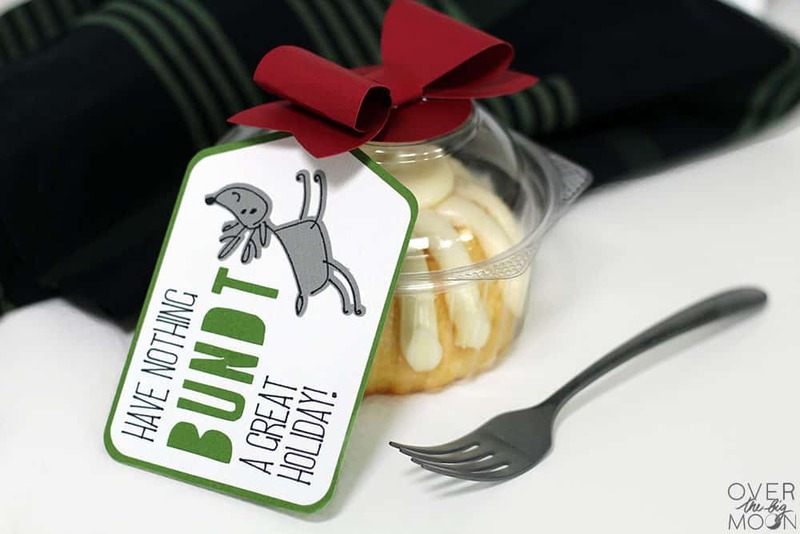 But, if you were gifting this idea to a group or family, I’d go with a normal sized bundt cake. When you purchase the little bundt cakes they come in cute little clear containers and I didn’t want to repackage them. So, I jumped into my Cricut Design Space to see what they had in there to help embellish the gifts. I found a couple different ideas I liked and meshed them into this fun design! 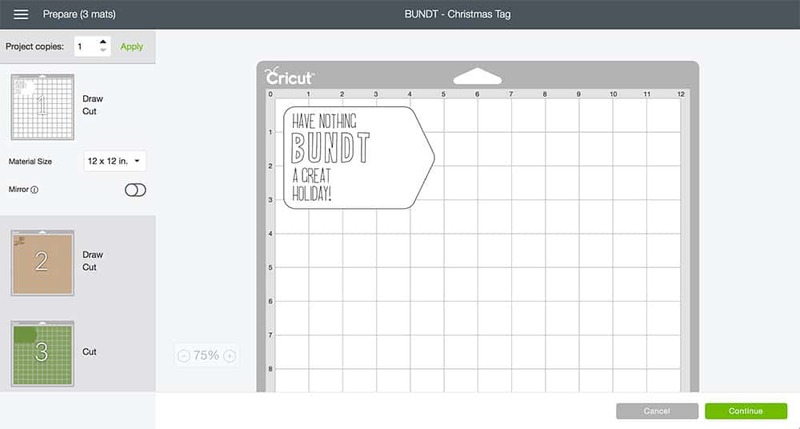 The tag is a simple DIY that you can cut with your Cricut Explore or Cricut Maker! 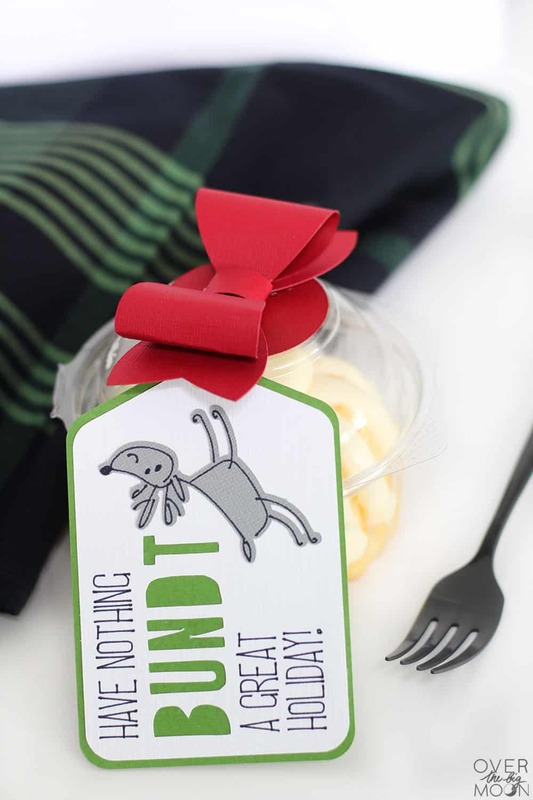 Then you can attach the tag to any kind of bundt cake — big or small! 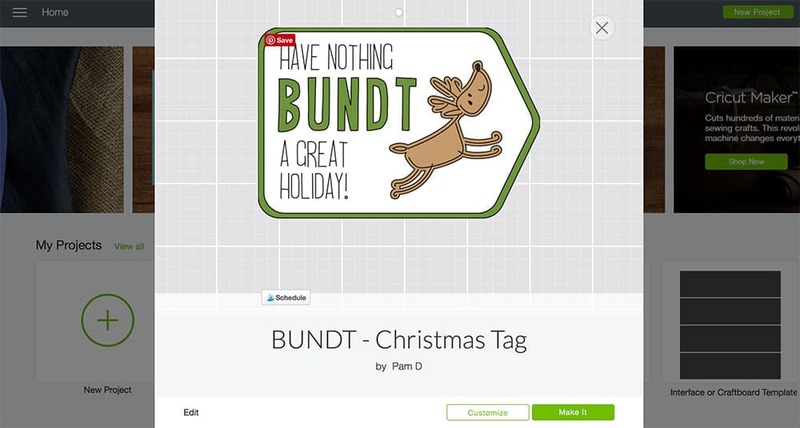 Start by pulling up the gift tag from Design Space HERE! Then go ahead and load the black Cricut pen into your machine. 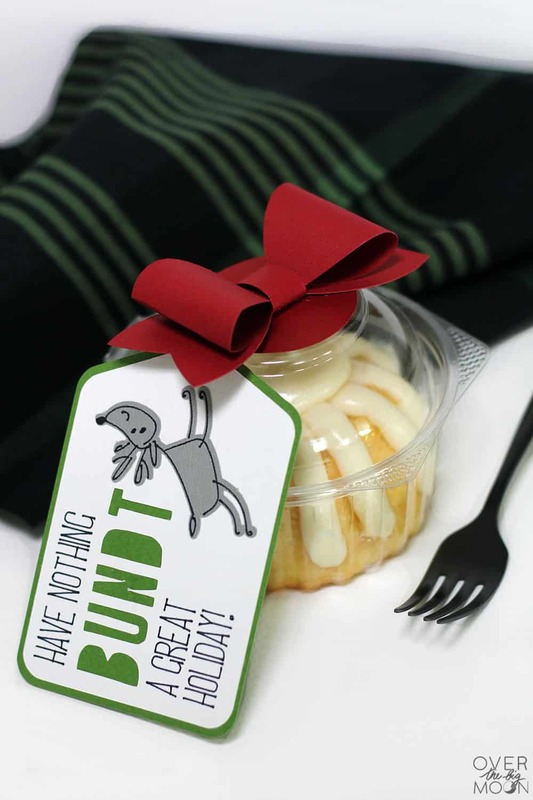 It will write all the words, but BUNDT. That word will be cut out with the fine point blade. 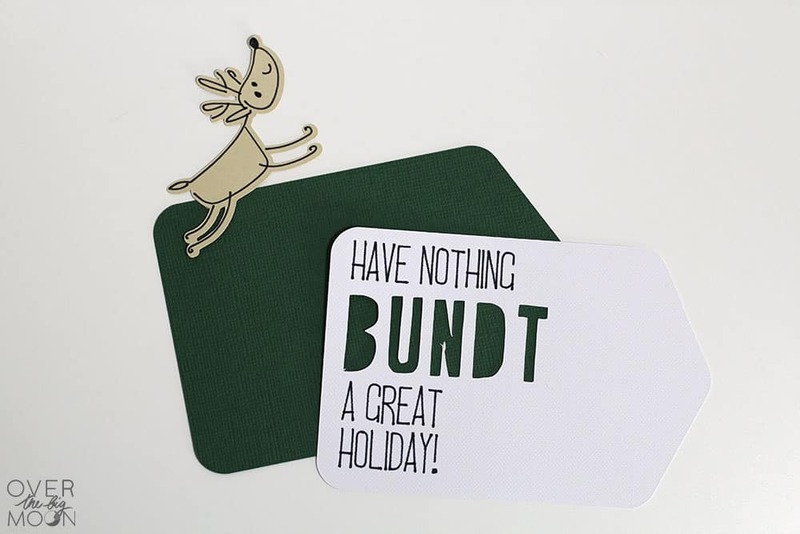 You’ll need a white, green and then either brown, tan or gray 12×12 cardstock. 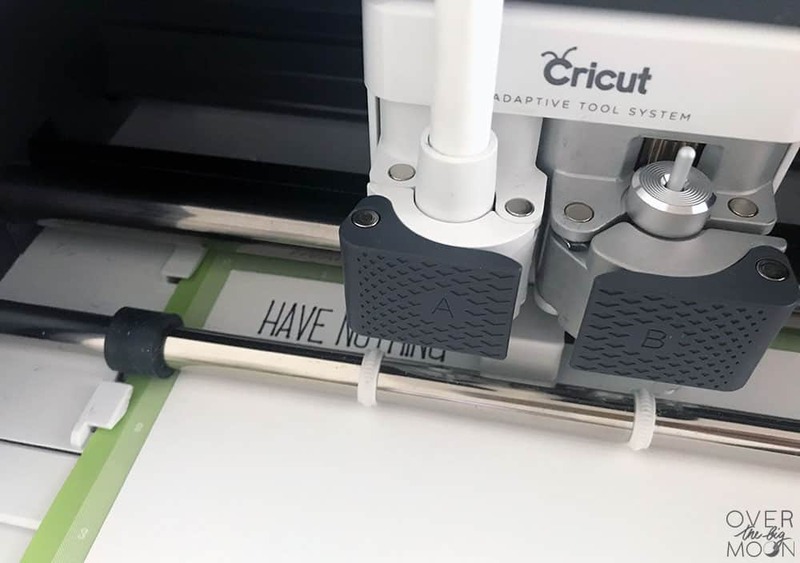 Follow the directions, allowing your machine to write the designs and make all the cuts! Then go ahead and assemble the gift tag. I used a glue stick to attach the reindeer to the white cardstock and then the white tag to the green background tag. I made a couple variations of the reindeer – so try it brown, tan and gray! They all have a fun look! 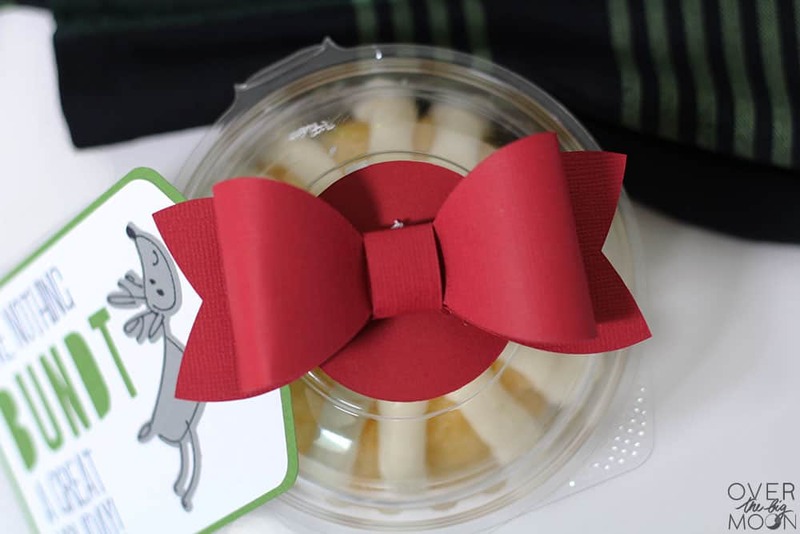 Next up for the gift prep, make the bow for the top of the Bundt Cake! I chose and modified one of their bows. I took off the side cuts and added a 2″ circle to match the top of the bundt cake container. If you’re putting your bundt cake in a different container then you may not need the circle or you may need to adjust the circle size. If that’s the case, then you click through the design space file blow, click CUSTOMIZE and make those changes. You can find the Red Gift Bow Design Space file HERE. Go ahead, cut and assemble the bow. I used a hot glue gun to assemble the bow and it worked perfect! Before attaching the bow to the container I quickly used some twine and hot glue to attach the tag. When I designed the tag, I didn’t include a precut hole because I assumed some wouldn’t be attaching it by a twine. So, I just quickly punched one with a hole punch. 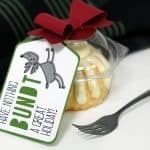 Then I tied a cute twine to my tag and used hot glue to attach it to the red circle on top of the bundt cake container. Then I hot glued the bow on the top and it’s done! 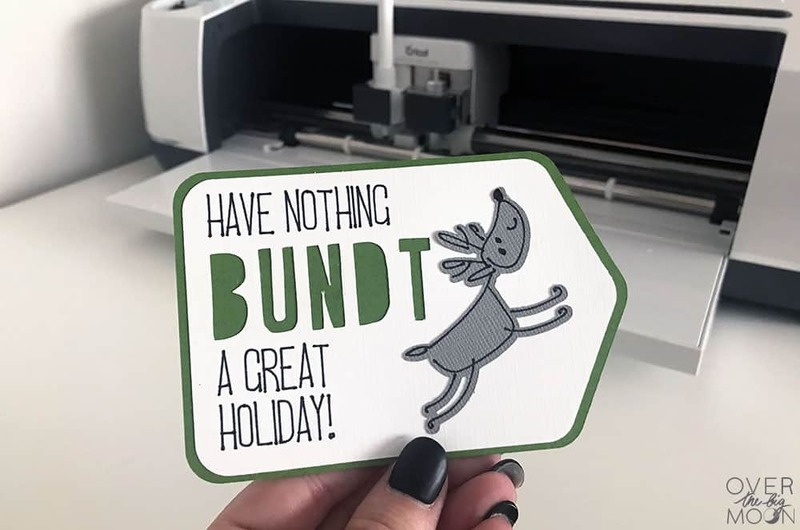 Also, Cricut has a BOMB giveaway going right now! Who wants to win a Cricut Maker? All you’ve got to do is enter below using their Rafflecopter! GOOD LUCK! If you love this post, I’d love for you to pin the below image!